Princess Tulle Crocheted Halter Tutu Dress White, Purple, Lavender Size Nb-6t Free Usa Shipping. 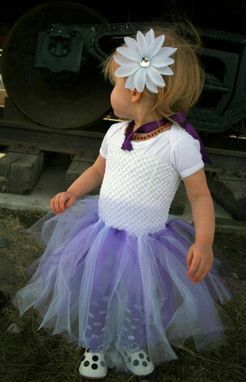 This dress comes with a 8" halter top in white, with purple, lavender, and white tulle at 11" long, with purple ribbon to hold the halter top up. 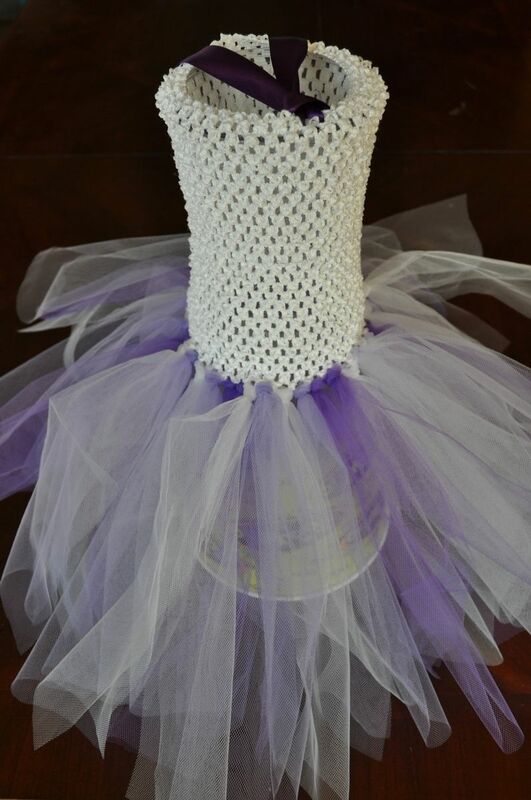 This fits sizes 2t - 6 girls. Get the lily flower hair clip in this listing. I have many colors available and can make any solid color or combination of 2 colors.